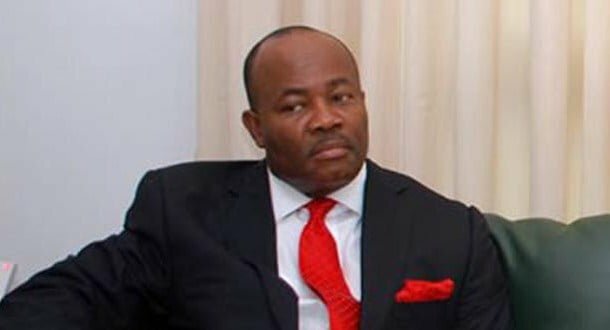 A former governor of Akwa Ibom State, Godswill Akpabio, has given conditions under which he will support incumbent Governor Udom Emmanuel for second term. The Senator spoke at the annual get-together organized by the deputy governor, Chief Moses Ekpo. Akpabio said he would support the governor for a second term if perceived current marginalization of his senatorial district was addressed. He warned that the era of ‘carry-go’ politics was gone and charged the governor to brace up for the big task. The former governor, who is widely believed to have installed the incumbent governor against all odds in 2015, pointed out that he would only endorse Emmanuel’s re-election and rally support for him if the policies and programmes of the administration were not discriminatory against Ikot Ekpene geo-political zone. He said, “2018 is less than one year to election, all is not well, don’t allow anybody to deceive you that all is well. If the hotel in Ikot Ekpene rots after so much money had been expended on the project, would that be a good thing? “That road from Uyo to Ikot Ekpene, is still the way it was. In the 2018 budget, what is the percentage for Ikot Ekpene senatorial district?”, Akpabio asked, and charged the governor to remove the wedge that stifles development in his zone or be prepared to face the consequences of such action in 2019. “My job is to say the truth because if at this level I cannot say the truth, then I am not doing well. So please I want us to start the hotel because when the Commissioner for Works addressed the youths in August, he assured them that the hotel would be opened in December. Please let us check the budget to know what has been earmarked for that place. I am not interested in what I did and what I did not do, I am only interested in what I am going to do.